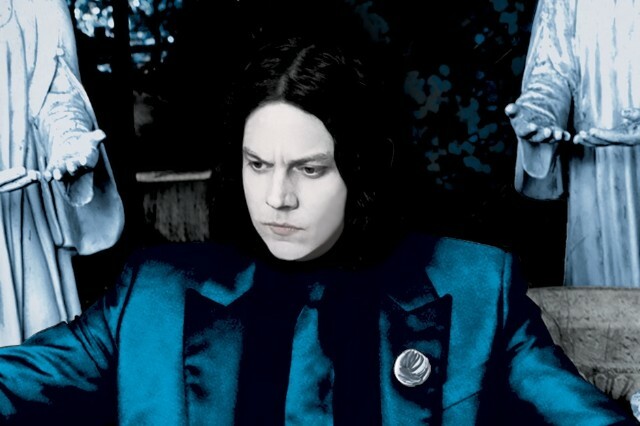 Jack White’s sit-down with NPR’s All Songs Considered is chock-full of relevant information about the Nashville rock’n’roll impresario’s upcoming album, Lazaretto. For instance, White explained the title of the June 10 full-length (pre-order it via iTunes or Third Man Records), said he struggled to write the lyrics, and acknowledged that he turned for inspiration to material he wrote way back when he was 19. But tucked away in all those album-cycle tidbits was a jolting revelation: White still doesn’t have a cell phone. All right, considering the former White Stripes leader’s known technological bias, that he’d stay off the cellular grid isn’t a shock. And at least as recently as 2012 — when he was promoting his debut solo album, Blunderbuss — The New York Times Magazine’s Josh Eells reported that the Third Man boss was still mobile-free (though he did own an iPod, use Skype, and sometimes email Conan O’Brien to chuckle over a tweet). But still, in 2014, when more people reportedly own cell phones than ever had land lines, surely he has changed his ways? To his credit, he’s aware of his curmodgeonliness. “I’m very much like Larry David in my everyday,” he told Rolling Stone in a separate story. Though he’s not as averse to popular music as his reputation might suggest. He also described Daft Punk as “amazing” and said he contributed to several unfinished Jay Z tracks (“I’m not sure he even liked them”). He went on to explain why in the world he’d name a record after a word that can describe such a horrible phenomenon as leper colonies. One of the reasons White might hold that particular fantasy is his difficulty writing lyrics for Lazaretto. He said the words didn’t come until “seven or eight months” after he’d recorded the music. One way out, he said, was “to collaborate with a 19-year-old version of myself” by pulling character names and sentences out of “one-act plays and poems” he’d written when he was half his current age. Elsewhere in the interview, White discussed the Spanish language in the title track, the opening sound effect on Lazaretto’s “High Ball Stepper,” and why he and his band are still recording new music. Listen to the full interview or read a transcript over at NPR. From the album, you can hear “High Ball Stepper,” “Lazaretto,” and “Just One Drink.” And if you want to call up the man born John Gillis, you’d best try him at home. Check out Jonathan Richman’s “You Can Have a Cell Phone That’s OK But Not Me” below.